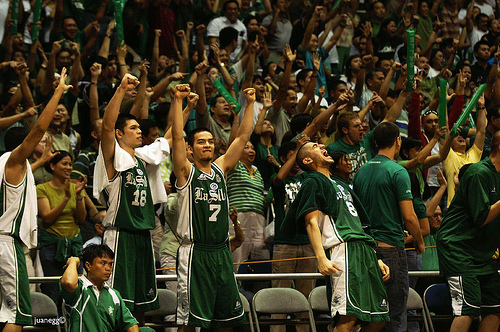 At 6:15 p.m. yesterday, white confetti rained inside the Araneta Coliseum as green jerseys swarmed the court all-smiling. Too strong. Winner of 15 of their 16 games this season, the DLSU Green Archers added one more last night as they swept the Ateneo Blue Eagles to win the school’s ninth UAAP title. Big Ben Mbala and Jeron Teng were unstoppable. 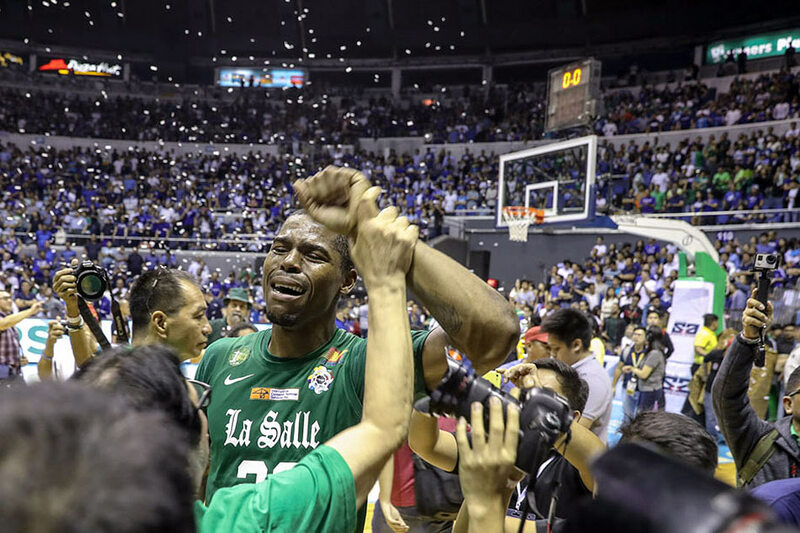 The regular season MVP Mbala and the Finals MVP Teng combined for 46 points in Game 2 to win, 79-72. I watched the last three quarters and Mbala doesn’t play college ball — he’s a pro-caliber star. Standing 6-foot-8, two moments stood out tallest. As seconds ticked to end the 2nd quarter, a charging Ateneo player drove down the lane.. only for his shot to be blocked (no make that, hammered) by Mbala. On the play-of-the-game and with 4:13 left in the 4th, Teng drove for a layup, missed the shot as Mbala, with both muscular arms outstretched, slammed the ball for an alley-hoop dunk. At 3:30 this afternoon, two colors will collide. One is red, the other is blue. The hostilities started last week. 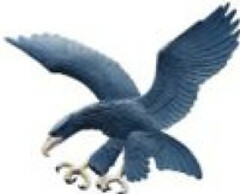 In Game 1 of the UAAP basketball finals, Ateneo de Manila University (ADMU) beat the University of the East (UE). That victory was expected. The leaders during the elimination round, Ateneo was dominant and authoritative. But in last Sunday’s Game 2, when the Araneta Coliseum was to have been awash in blue, the red-blooded UE squad turned their opponents blue—as in gloomy and unhappy blue. For the Red Warriors did not just defeat the Blue Eagles, they obliterated them with the score 88-68. 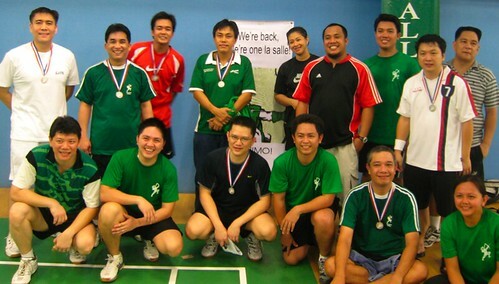 A group of close to 20 La Sallians gathered yesterday afternoon at the Casino Espanol de Cebu from 1 to 4 p.m. to play badminton, enjoy plenty of laughs, eat pizza, sweat, and bond together as one green family. How is that possible? It’s not. But it did happen. At the UAAP championships held at the Araneta Coliseum in Quezon City, the winner wasn’t the team that won 14-0—it was the one who scored 2-0. 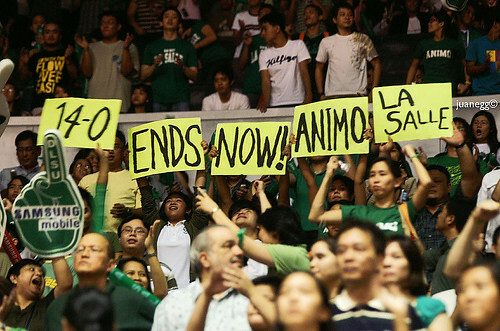 Last Thursday, the La Salle basketball squad beat Ateneo, 70-69, for the No.2 spot in the UAAP Championships. That was basketball. At the Araneta Coliseum. 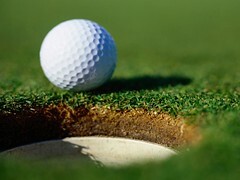 Golf? In Cebu? 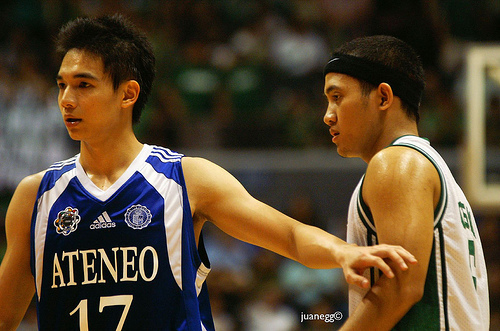 For the past five years, Ateneo has trounced La Salle. Ever since the Ateneo-La Salle Golf Classic was established—never mind the golf course colored all-green—Green has lost to Blue. It wasn’t the NBA Finals. It wasn’t Manny Pacquaio vs. Marco Antonio Barrera. It wasn’t Tiger Woods or Roger Federer collecting trophy No. 3,805. It wasn’t even the Joey de Venecia expose against the First Gentleman. It was better. La Salle versus Ateneo. Game 3. Araneta Coliseum. Last Tuesday at 3 p.m. I arrived at Hola España minutes into the First Quarter. As I entered, Cisco Jarque smiled. Ed Gonzales sat beside him. Bobby Martinez was at the center. Brothers Chito and Mark Cusi offered me a seat while Ryan Yu sat to the left. Gerry Malixi wore green. Is there a rivalry that can rival this rivalry? Is there a school that abhors the other as much? Is there an institution that grimaces at the mention of the other’s name? Is there a title other than the UAAP basketball crown that both teams lust for and hunger after more than any other?The two-letter answer? NO. The four-letter initials of these two teams? ADMU. 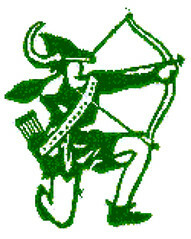 DLSU. The first school is color blue. Founded in 1859, it’s main campus resides in Loyola Heights, Quezon City, and it’s basketball squad is called “Blue Eagles.” Among it’s alumni is someone you and I know: Jose Rizal. And, with it’s Level IV accreditation (the highest possible) from PAASCU, it is one of only two universities in the Philippines to receive such an honor. Ateneo De Manila University. De La Salle University.